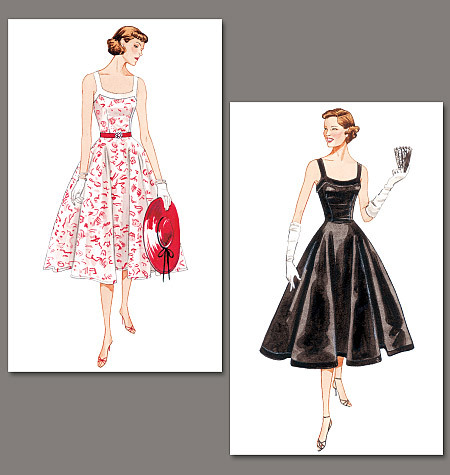 Also, I made up that Vogue dress pattern, and struggled quite a bit with the fit – it’s a bit odd, so I don’t know that you’d need to make the same adjustments to any other pattern. Hey, definitely one can dream about being comfortable with photos! It helps that I did burlesque classes with Miss La Belle who is ALL about loving oneself (and the classes really transformed my mindset), that I’ve since got to know lots of other women who have transformed from shy to starlet – vastly outstripping my progress, and that I have a particularly fabulous friend who has been willing to let me practice in front of her camera (and retain editorial veto). There are some amazing recent shots to come! 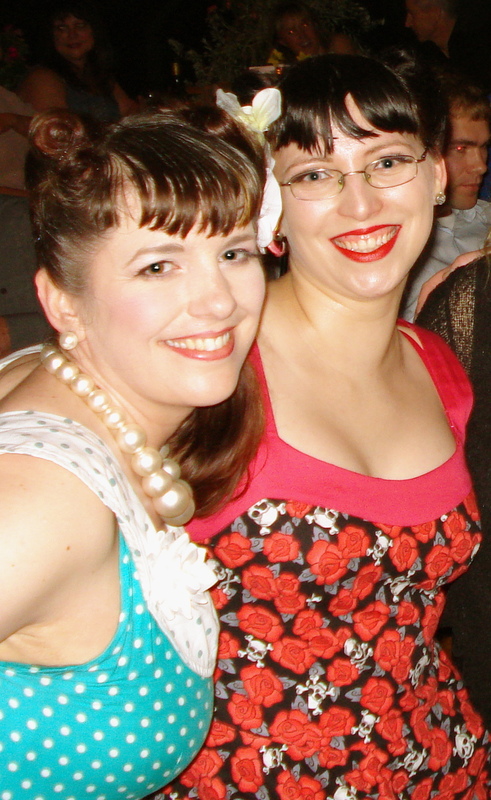 And for what it’s worth, you have some great photos of you on your blog! And, thanks for stopping by and your comment on the attachments. I’m not sure if I should be proud or not that it only took my mom and I a week or two to discover a matching machine and bring it home… my first treadle. >_< Oops. 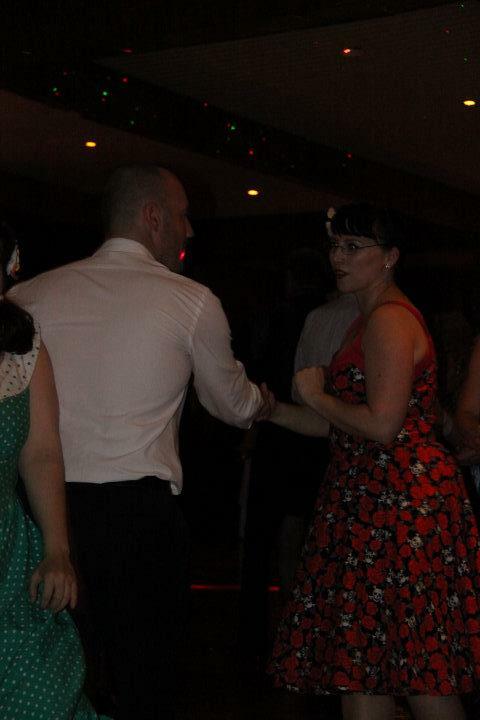 The rock and roll dancing is indeed the most fun and I recommend you look it up, but it might be called East Coast Swing in your neck of the woods – same dance, different hemisphere! Definitely should be proud that you’ve got the matching machine – and a treadle at that, how exciting! Can’t wait to see what you produce on it – I’m sure it will be fabulous. Finally the dress!! 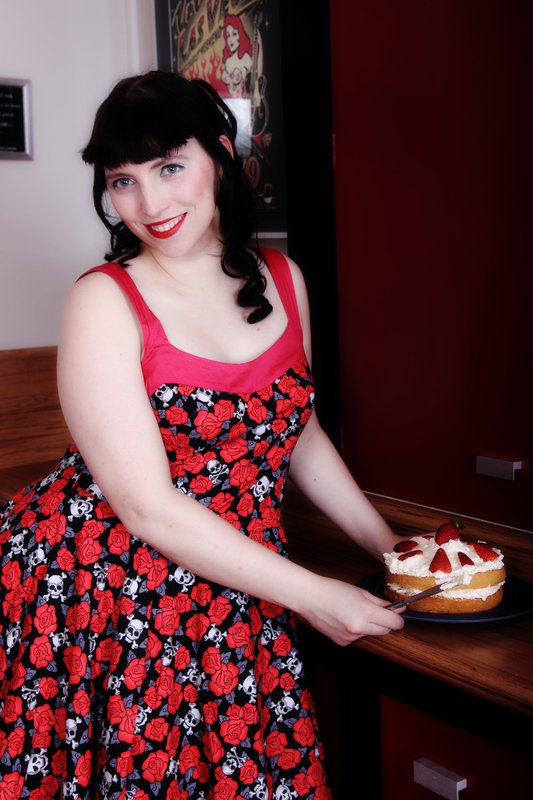 Loving those pinup style photos joy they look amazing!! Aww thanks lovely 🙂 I felt like a complete fish out of water at the shoot so it was so fabulous to get pictures that I love! I absolutely recommend getting lots of photos of yourself taken if you want to overcome camera fear, learn not to cringe whenever you see pics of yourself, and (most importantly for me) get to grips with your own beauty and work on saying goodbye to body image issues. It helps to have a willing photographer friend too! I don’t think I’m quite at the photoshoot stage in confidence! Although the flatties and I used to do fun dress-up photo shoots all the time – but I think it’s different if you’re playing a spy, or a group of fighting pirates, or an amish family. Ppppp. It’s exactly the same. You dress up, you laugh, you play around in front of a camera. Except the character you play is a confident version of you! What a fab story and an amazing dress! I’m fascinated to see a mrs c creation too, she’s got so many skills and offers such useful advice I’ve found. But you, lady, look a million dollars. 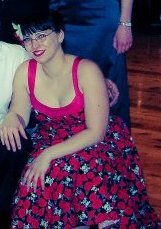 It is the most perfect dress, I love it, and am so impressed it gets proper rocking and rolling action. Cheese cake looks great too ! Thanks so much for your compliments! Yes, I’m very lucky to have MrsC as my sewing fairy godmother and have her invest her time into doing so much of this for me. Actually, the hair piece I’m wearing in the photo shoot was a gift from her too! I’m not sure how many other people get gifts from their bosses of underwear, thigh high stockings, and fake hair, but we had a pretty unique workplace arrangement. OMG!!! Another post! teehee! It is such a cool dress. But eclipsed I feel by your latest make, 🙂 I’m looking forward to seeing that one blogged too. Nag nag nag teehee! Tis pending! I even have amazing photos thanks to the delightful Sarah. I also feel that the new one has eclipsed this, and am worried that means that next year’s is going to be impossible to design!